I was thrilled to get to try these Breaking Bad set of earrings. They are good quality metal, not to mention geeky cool. What I love most is that you would have to be a fan of the TV series Breaking Bad to know what they really mean. Green is my favorite color so I really think they are super! 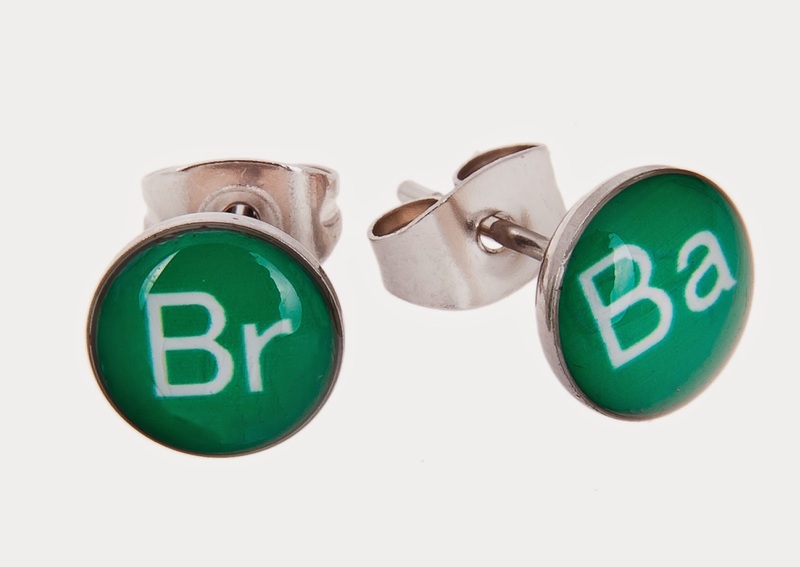 These would make an excellent gift for any Breaking Bad fan or even for a fan of the periodic table.